We just got an email from the guys over at Clove to let us know that they now have the unlocked Nokia Lumia 925 in stock, the handset is available for £480 including taxes and this is for the white version of the device. 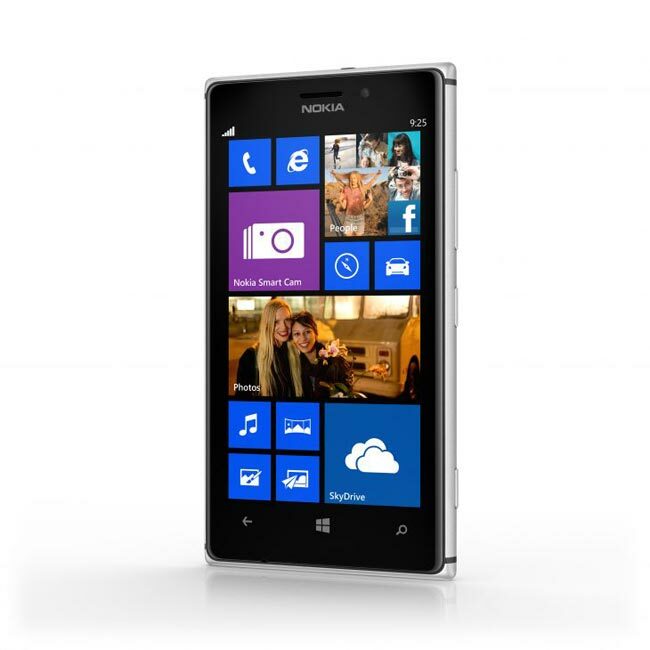 The Nokia Lumia 925 comes with Windows Phone 8 and has 4.5 inch WXGA AMOLED display with a 1280 x 768 pixel resolution, the handset comes with 1GB of RAM and 16GB of built in storage, there is also a dual core 1.5GHz Qualcomm Snapdragon S4 processor. Other specifications on the Nokia Lumia 925 include a 2,000 mAh battery with wireless charging, a Nokia PureView 8.7 megapixel camera with OIS, auto-focus, a dual led flash, there is also a front facing 1.2 megapixel wide angle camera for video chat. The Nokia Lumia 925 features an aluminum casing, the handset measures 129mm x 70.6mm by 8.5mm and it weighs in at just 139g, it also features USB 2.0, Bluetooth 3.0, NFC, 802.11 a/b/g/n WiFi, A-GPS and Glonass and a 3.5mm audio connector.